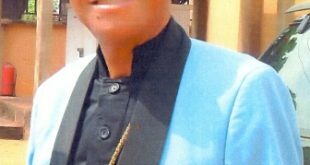 Late Deacon Loverage Francis Okwuidegbe, a lecturer at the College of Education Agbor, who joined his creator at the age of 64 years, has been to laid to rest in his compound at No 17 Upper Odozi Street, Agbor, Ika South Local Government Area. In his sermon during the funeral service in honour of the deceased, Deacon Loverage Francis Okwuidegbe which took place at the Redeemed Christian Church of God, Chapel Redemption Zonal Headquarters, Delta State Province 7, Pastor Oji John in charge of PIC Zone, noted that it is appointed unto man once to die and after that judgment. Continuing, he extolled the sterling qualities of late Deacon Loverage Francis Okwuidegbe, whom he described as a pious and upright man, and was faithful in his Christian life, saying that he contributed immensely to the growth of God’s vineyard. According to the man of God who enjoined the gathering not to be afraid of death, but pray that we will not die prematurely and said that the important aspect of living is to make heaven, so we should prepare for it, by doing the will of God. He urged the children and members of the family to be consoled by the good life their father lived, pointing out that, late Deacon Loverage Francis Okwuidegbe added value to the church of God and left behind legacies of humility, sincerity and generosity. He urged the children to emulate these qualities of their father and live a purposeful life like their father. 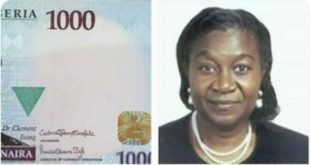 According to her first daughter who read his biography, late Deacon Loverage Francis Okwuidegbe was born on 17thSeptember, 1954 to the family of late Mr. and Mrs. Francis and Regina Okwuidegbe of Ewuru, Agbor, Ika South Local Government Area of Delta State. He began his early education at Queen Elizabeth day nursery school and Asem Boys, Kumas, Ghana from 1959-1969, where he obtained his first school certificate and represented the school in spelling Bee on radio and television. This was followed by his secondary school education in technology secondary school(Tecsec) Ghana, where he obtained his West African School Certificate in1974. In his final year, he became the school prefect. He also attended Presbyterian Boys School in Legon, Accra, Ghana where he obtained his advanced level. Due to his excellent performance, he was employed on his return to Nigeria in St. Charles Grammar school Abavo, the then Midwest State, later on, he worked as a community development officer in Ika South Local Government Council. While growing up, he always got interested in political discussions among his peers who named him “De-Gauile” after the historical Charles De-Gauile, a French general and statesman. This was a propelling factor behind his pursuit for a Bachelor of Science B.SC(Hons) in Political Science from the prestigious University of Ibadan (UI) from 1977-1980. Thereafter, he obeyed the clarion call (NYSC) where he served his father land in Yola the then Gongola State now Adamawa State. His place of primary assignment was Song Teachers college from 1981-1982. After his Youth service, he worked as a community officer in Ika South Local Government Area. Being a man of great vision, he went back to school for his mastesr degree where he obtained M.A in History from the University of Sokoto from 1984-1986. He was the pioneer editor of Ika Weekly Newspaper, in 1989. 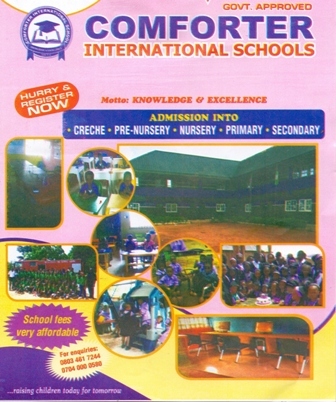 In 1993, he got an appointment as a lecturer in the College of College Agbor. Being an academician, he further obtained a post graduate diploma in Education from Benson Idahosa University(BIU) in 2007. For the period of time he worked in the College of Education, as a lecturer in the department of History and Social Studies, he had a lot of books and publications to his credit, until his death, he rose to the position of a Chief Lecturer. Apart from the job in the classroom, the great academician loved sports and social works. He was also a minister of the Gospel and a parish pastor under the Redeemed Christian Church of God (Shout of Triumph Parish) whose passion for God and souls knew no bound. 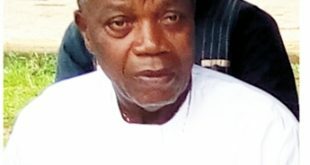 Late Mr. Loverage Francis Okwuidegbe who went to be with the Lord on October 2018, is survived by his Wife, children, Brother, Sisters and other relatives. The colourful burial ceremony had in attendance staff and students of College of Education Agbor, Redeemed Christian Church, members of family members, friends and other important personalities from all walks of life. In her tribute,his first daughter, Victory Nmeri Okwuidegbe eulogized her late father as the best father with his teachings, corrections, and words of wisdom. “It is the solid foundation my father laid for me that has made me what I am today”, she said and prayed God to grant his soul eternal rest.